part 4 of my response to the BBC's minimalism series, or as it's coverage in said series has been niftily described in Jennifer Allen's article for The Quietus 'menimilism'. In this post I am venturing beyond the most obvious linked work, partly including some pieces that I remembered whilst searching for suitable clips by other artists and some that again, in my opinion, show how much more interesting and expansive some composers and artists not featured in the BBC series were. I've also included some examples of the developments in jazz and art-music that were part of the sound-world the minimalist composers existed in. Hadar Ahuvia and Tatyana Tenenbaum at DanceROULETTE from Tatyana Tenenbaum on Vimeo. Thunder Snug Harbor Runthrough from Tatyana Tenenbaum on Vimeo. de-Saturation Solo #1 from Tatyana Tenenbaum on Vimeo. Thunder - Trio Excerpt from Tatyana Tenenbaum on Vimeo. 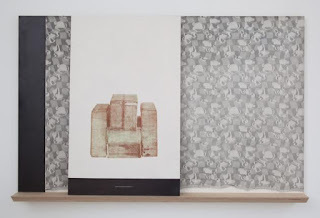 Untitled Work for Voice / landscape 1 from Tatyana Tenenbaum on Vimeo. Untitled Solo for Voice at Roulette from Tatyana Tenenbaum on Vimeo.